The Christmas Cracker gift guide. Because we all know that one person who has no inhibitions when it comes to fashion- or anything for that matter! They love to make a statement and have a bit of fun with their look, and they can be a little nightmare to buy for. Anyone who is super-confident and super-bubbly. They are the opposite of the "cool girl", they don't really follow trends madly- they just want to look colourful and fun. They are often the bubbly ones at a party who will speak to anyone. They are friendly, vivacious and could be any age. They love a little bit of kitsch- and naturally love Christmas! The Cool Girl. This gift guide is, quite frankly, her worst nightmare... unless she's being ironic or doing a little bit of fancy dress. Anyone who fancies themselves as a bit of a serious professional won't really be best pleased with one of these garish goods, nor will people who like the whole minimal luxury thing. Yummy mummies'd run a mile, but their teenage daughter would welcome the cheeky Mulberry jumper with open arms. WHERE DOES "THE CHRISTMAS CRACKER" SHOP? - Urban Outfitters for those FABULOUS jumpers. - Tatty Devine for the best in kitsch jewellery. - Quirky little boutiques like La La Land, where they can pick up weird and wonderful pieces. - They adore MeadhamKirchoff and Louise Gray. 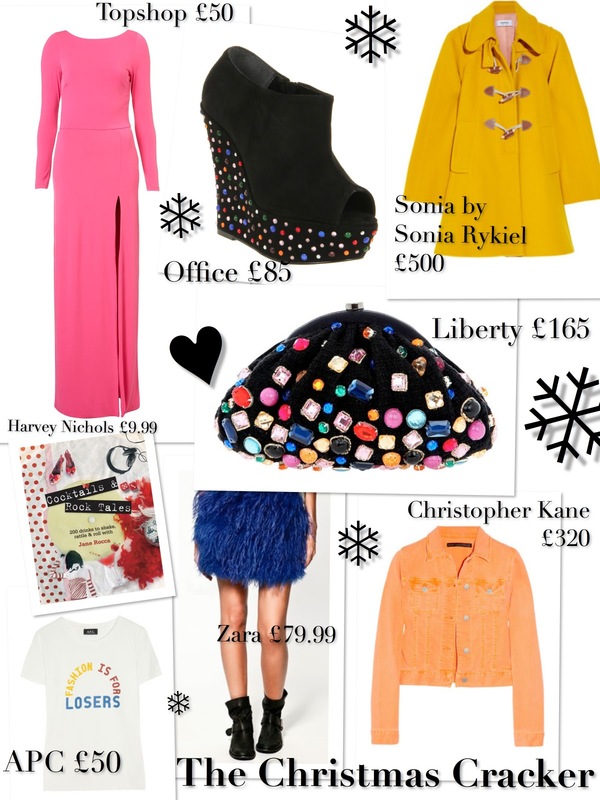 - Henry Holland if money were no object... They'll take his Debenhams range while they can. - They would sell their granny for a wardrobe full of Vivienne Westwood and Sonia Rykiel. Your fun friend, the one who is vivacious and dresses in a way that really reflects her personality.